Picture yourself waking up to the wild sounds of Africa and the distinctive scents of pure nature. Open your eyes to see the bright blue sky spotted with white, fluffy clouds. Get up and start your day by admiring the stunning views of the Makalali bushveld spreading out before you. The Garonga sleep out is a firm favourite activity amongst guests, and it is not hard to grasp why. After a 20-minute drive away from the main camp, guests who are adventurous enough to experience life in the African bush for a night are dropped off at Garonga’s very own star bed. 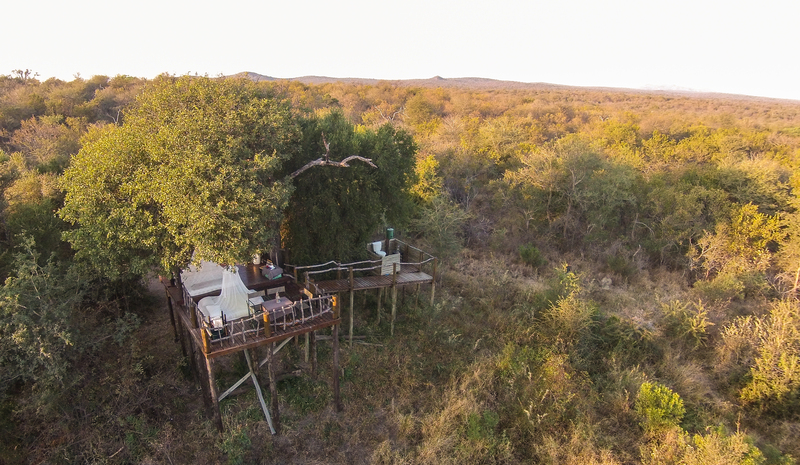 There, on a sleep out platform amidst the trees, guests can experience the real magic of the African bush. Sit back on the sleep out viewing deck and indulge in a 3-course bush dinner, surrounded by wilderness. Pop a bottle of bubbly open as the day starts turning into night and look up to see the Milky Way in all its sparkly splendour. This is what safari dreams are made of.